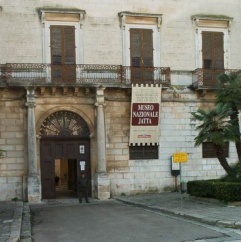 Jatta Museum is situated in the homonymous palace in Piazza Bovio. It takes up four rooms in the low ground. The building, maybe made by the engineer Mastropasqua of Giovinazzo or by the architect Castellucci of Bitonto, was build in 1842 thanks to Giulia Viesti, widow of Giulio Jatta, and after her die in 1848, the building was completed thanks to their son, Giovanni Jatta Junior. 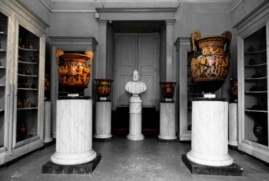 The construction of the palace and of the museum had the aim to receive the whole collection which, until that moment, was in the ancient house of Giulio Jatta and the house of his brother Giovanni Jatta Senior in Napoli. 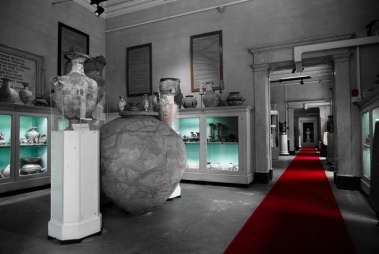 Giulio and Giovanni Senior had the merit for the retrieval of the rich heritage of ancient objects which were founded in Ruvo between 1820 and 1835. Whereas Giovanni Junior had the merit for the collection arrangement and for the first Catalogue published in Napoli in 1869. 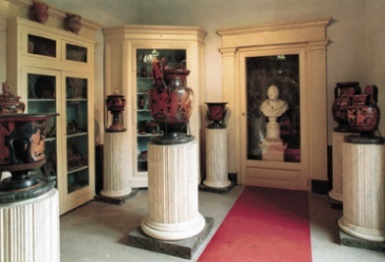 The exhibited finds are vases and terracotta objects, except for the metal ones placed in one of the display cabinets of the fourth room.